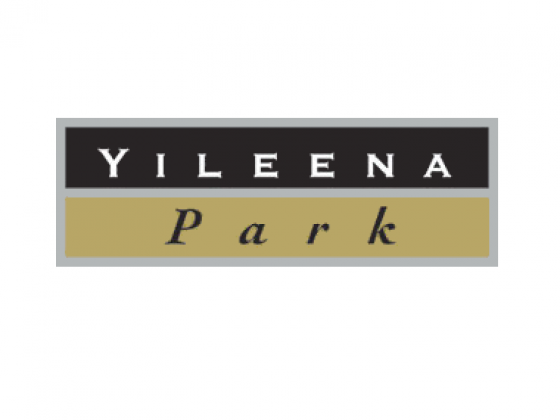 Yileena Park is a family owned Cellar Door, Winery and Vineyard located in the beautiful Yarra Valley just one hour drive north east of Melbourne. The vinyard was established in 1998 and comprises 5 acres of Pinot Noir, 5 acres of Cabernet Sauvignon and 2.5 acres of Merlot. It is situated on a north facing slope at the base of the Christmas Hills which keep it cool and protected. And the grey loam soil surfaced over a rock studded clay base make it ideal for growing premium wine grapes. The vineyard is pruned to produce between 1-2 tones of fruit per acre which allows the vines the opportunity to completely ripen the fruit. Our watering system is an American Sub-surface drip irrigation type, which delivers the water and organic liquid fertilizer directly to the vine’s roots. It allows for excellent control over our watering which we judiciously monitor. The unique sandstone cellar door at Yileena Park was opened in 2006. It is anchored back into a steep hill to ensure cool cellaring of our premium wines as the ground floor is virtually buried underground. Climb the superbly timber panelled stair case to the warmly inviting tasting room which is swathed in Tasmanian Myrtle and features and open fire place, an ornate Victorian mantle and a beautifully detailed granite bar. French doors open onto an expansive deck affording views over the vineyard and the beautiful Yarra Valley. The deck is the perfect place to relax and enjoy a glass of wine with a pre-ordered cheese platter. When you visit Cellar Door you must also sample our unique smoked delicacies. These are infused with the smoke from old wine barrels and the combination of wine and oak flavours imparts an amazing flavour that needs to be tasted to be believed. Our smoked products are only available at Cellar Door and include smoked salt, olives, nuts, mustard, olive oil, red wine vinegar and cheeses. With such close proximity to Melbourne this stunning Celar Door, Winery and Vineyard is so accessible. We look forward to seeing you when you are next in the Yarra Valley.